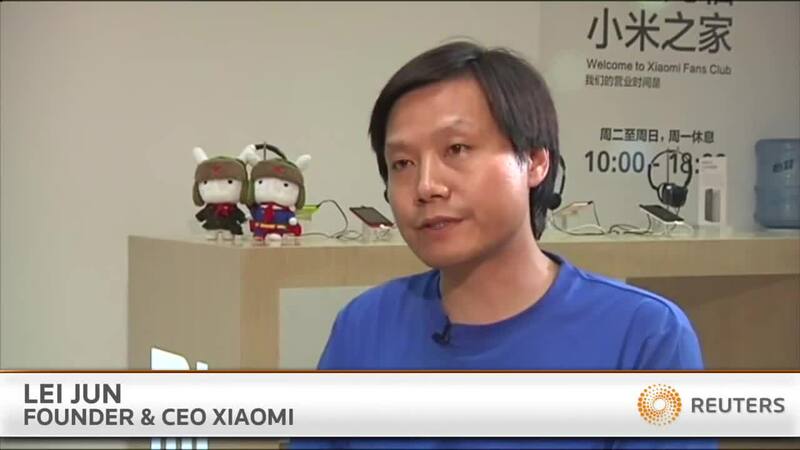 Reuters has an interview with the founder of Xiaomi, Lei Jun. We’re actually an Internet company. The Internet represents an advanced way of thinking. Companies that are armed with this have an incredible competitive edge. Today we’re already China’s third-largest e-commerce company and we’ve already built a massive, massive mobile Internet platform and we have a lot of apps. People just don’t get it. The mobile phone itself is only the carrier. If people don’t understand this, they can’t understand what kind of company Xiaomi is. Xiaomi and Apple are two completely different things. If you understand Xiaomi, I’m sure one day you will understand that Apple and Xiaomi are completely different companies. I think that the core problem is that people don’t understand Xiaomi. The main difference is that it is the Internet that made Xiaomi. Xiaomi selling mobile phones is like Amazon selling Kindles. So you can understand why we sell them for so cheap. I think the main problem is that you have to be able to read Chinese to comprehend the scope of what Xiaomi does. To everyone outside of China, they look like Apple. To everyone inside of China — who can access all of the Xiaomi Internet services — Xiaomi is completely understandable and isn’t compared to Apple. Now I see why there have been reports that expect the Xiaomi tablet to be priced very low despite its very high-end spec. Xiaomi isn’t in business to sell hardware. It’s in business to sell what they offer on the Internet — and all of that is what we can’t see outside of China, except for those who can read Chinese. That means in every country Xiaomi expands into, it must hire translators and cultural experts to customize their services for that local market. They don’t make their money on the hardware — as he said, it’s like the Kindle. The money is made when the device is used with Xiaomi’s services. Every device not used with their services is money lost. While it’s nearly impossible to buy a Kindle and not use Amazon to buy books, the same doesn’t hold with a Xiaomi device — so they’re really going to have to find a way to hook people to what they sell online. That won’t be difficult to do. Amazon, Apple, Google, and everyone else has done and is doing it. MIUI, the company’s homegrown Android ROM which powers its devices, remains more evolved in mainland China than in Singapore, Taiwan, and Hong Kong (the three other markets where it currently operates). In those territories, Xiaomi hasn’t yet implemented payments for its app store, theme store, game store, or book center. Those are all central to the Chinese Xiaomi experience, as well as a part of Xiaomi’s business model. My personal thing is this: I really can’t have an Aha! Moment with Xiaomi until I can see all of it in English. And how long will it take them to do English? In fact, will they ever do English? If they have truly global ambitions, I think they must. Is This Proof of the 12.9″ iPad Maxi? Got to point out that they are already in Malaysia and Singapore and they’ll be in India and Philippines soon and all 4 are english speaking countries (more or less for Malaysia). Yep. The video is from last year. Haven’t checked the video ,was referring to your desire to see them do English. Actually, that’s Mike. I was already somewhat familiar with Xiaomi and their services. They are far more Amazon than Apple. But I was surprised to read that Malaysia was an English-speaking country. As a former British colony Singapore is largely English speaking, but I didn’t know that the same was true for Malaysia. I’m in Mexico so I’m actually excited to see just what their expansion into Mexico entails as prices tend to he high here (sometimes close to double US prices). But I can also say it could be a real challenge. Mexico is greatly swayed by brand recognition, cool factor, and “American” factor but it’d be nice if there were some real alternatives to the near-monopolies present. I would love their 20 bucks AC router and their UHD tv’s intrigue me with their prices. On the other hand I have spent a pretty penny in the play store and I don’t want to have to respend that. In this respect I like Amazon’s tactic of providing the Amazon app store for downloading so that anything you purchase is available on any device allowing side-loading. And yeah, I get the concept. I use Kobo because I love the fact that it is relatively open and allows other formats but for reasons of comfort I still prefer to buy from them.